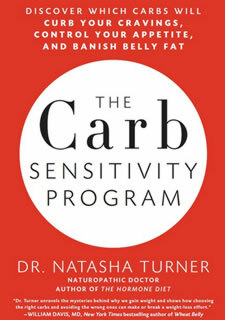 The Carb Sensitivity Program is a book written by Dr. Natasha Turner a naturopathic doctor and bestselling author of The Hormone Diet. This program helps you determine which carbs will control your hunger, eliminate your cravings, and get rid of belly fat. It is not a low-carb diet, but rather teaches you how to find the carbs that are best for your body. Dr. Turner explains that many people have some degree of sensitivity to carbohydrates that can make it difficult to lose weight. Even carbs that are generally regarded as healthy – such as butternut squash, chick peas or quinoa – can still cause weight gain. The Carb Sensitivity Program helps you identify what type of carbohydrate sensitivity you have. Turner says you don’t need blood work to recognize a carb sensitivity. It can be observed in signs such as cravings for sweets and starches, belly fat, and stubborn weight gain. In order to work out your unique response to carbohydrates you will go through a six-phase process of elimination. You are allowed to consume only one type of carbohydrate food for each week. During this process you will observe how you react to each type of carb. Then with this information you can adjust your diet and lifestyle to repair your metabolism so you can start losing weight. By the end of the six-weeks you will have a greater understanding of how your body responds to different carbohydrates. You will then follow a customized diet that best suits your needs depending on the type of carbs your body reacts to. This plan is designed to repair your metabolism so that eventually you can eat more carbohydrates without experiencing negative effects. Ultimately you should be able to enjoy healthy carbohydrate foods while still maintaining your ideal weight and without experiencing cravings or bloating. Blueberries, cherries, whey protein isolate, shrimp, scallops, turkey bacon, bison, eggs, plain yogurt, tofu, lentils, beans, peanut butter, almond milk, avocados, asparagus, bok choy, green beans, kale, lettuce, tomato, mushrooms, chia seeds, flaxseeds, olive oil, cinnamon. The Carb Sensitivity Program says exercise is of critical importance for both fat loss and metabolic repair. Ideally you will exercise six days a week to gain the optimal advantages for your health and hormonal balance. She recommends 30-minute sessions of circuit training, three days a week. This type of physical activity increases insulin sensitivity in the muscles and helps to control insulin release throughout the day. The book includes photographs of the recommended exercises. Twice a week you should do cardio interval training for 20 to 40 minutes. You can also do yoga once or twice a week, which has added benefits for stress management. The Carb Sensitivity Program: Discover Which Carbs Will Curb Your Cravings, Control Your Appetite, and Banish Belly Fat retails at $26.99. Click here to purchase this book for a discounted price. Can help to identify a sensitivity to carbohydrates. Assists with elimination of cravings for sweets and starches. Does not require complete elimination of carbohydrates. Diet is customized to suit the individual. 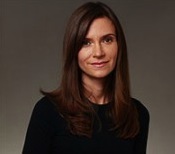 Information is based on patient trials and medical research. May repair metabolism and blood sugar problems. Will be necessary to restrict intake of many carbohydrate foods at various stages of the program. Exercise recommendations may be too strenuous for those who are not physically fit. Dieters are required to follow a very structured lifestyle regarding meal, exercise, and sleep timing. The Carb Sensitivity Program takes an in-depth look at the way different carbohydrate foods may be affecting your body. This program may provide valuable insight to dieters where unrecognized sensitivity to carbohydrates is negatively influencing their ability to lose weight.